The Jaffa Institute operates 10 innovative programs in the impoverished city of Bat Yam, South of Tel Aviv. Holistic in approach and responsive to the diverse needs of those we serve, these programs meet the needs of at-risk youth, families, elderly individuals and Holocaust Survivors. Hadas House – The Jaffa Institute launched the Stepping Stone Program for At-Risk Teenage Girls to meet the unique needs of disadvantaged young women in our service area who are between the ages of 13-17. Using a similar framework, the Hadas House in Bat Yam serves two groups of 15 teenage girls of the same ages. The girls meet twice a week, ensuring that they receive crucial individualized attention and support. This structure provides the girls with an alternative to wandering the streets alone, and prevents their involvement in dangerous situations, such as drug abuse, self-harm, and dropping out of school. Through individual and small-group sessions, the dedicated program staff provides these vulnerable girls with a caring environment and innovative therapeutic techniques, thereby developing their trust and sense of belonging. 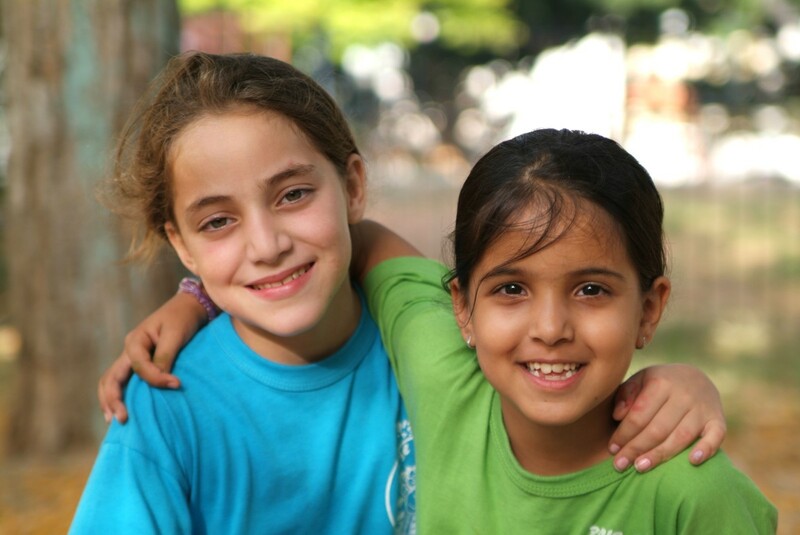 Upon arrival at the Hadas House, the girls receive a hot meal, academic and emotional support, recreational activities and empowerment workshops. Typical workshop topics include drug abuse prevention, resistance to social pressure, and self-defense. Me’ahtephet Network – Sadly, many of the teenage boys in the Bat Yam community have been involved in dangerous situations as a result of their troubled background and are struggling to make healthy life decisions. These boys lack a supportive environment and do not know where and who to ask for help. The Me’ahtephet program provides these boys with a network of support and guidance. The Jaffa Institute collaborates with those most involved in the boys’ lives, such as parents, extended family members, teachers, and employers, to build a network that is focused on supporting the individual. Alma Center – The Alma Day Center offers daily programming designed to meet the academic and emotional needs of teenage girls who have dropped out of school. Currently, 15 girls between the ages of 13-17 years old participate in the Alma program. At the Center, the girls are supported as they continue their education and work towards a high school equivalency diploma. Moreover, participants complete life skills training courses and other workshops to address their underlying social and emotional challenges. The committed program staff, which includes social workers and counselors, facilitate the Center’s activities and provide the girls’ with individualized attention and problem-solving support. Beyond Housing – The crucial Beyond Housing program provides vulnerable young women who are unable to live independently or with their parents with a place to call "home.” Stimulating a family-like community, 6 young women, ages 17-26, share an apartment together with a counselor. Upon arrival at the apartment, each woman meets individually with the counselor to discuss her challenges and personal goals. The counselor works with the young women to advance their goals, including job placement support and life skills training. Further, each woman learns to take responsibility as a member of the apartment’s community, completing household chores and interacting respectfully with her housemates. Through this unique structure, Beyond Housing provides residents with immediate shelter while equipping them with the skills to achieve long-term independence as members of the Bat Yam community. Afikim Employment Training – The Afikim program offers vocational training to young men and women, age 18 and older, who have been unable to find and maintain employment. The Jaffa Institute collaborates extensively with the Bat Yam Municipality in implementing this important program. In fact, all of the program’s participants have been referred to Afikim by the local social welfare department. Street to Safety – The Street to Safety program houses and supports 70 homeless adults who have been sleeping on the street, in abandoned homes, public parks and construction sites. Typically, the individuals are alienated from their families, physically and emotionally neglected, and lack the capacity to change their life without proper support. In addition to providing emergency housing, Street to Safety seeks to assist each resident on their journey to build a healthy life in the community, off the streets. To this end, the professional program staff provides residents with intensive rehabilitation, referrals for medical and psychiatric care, and support in finding employment and affordable housing options. Additionally, social workers help the residents access any governmental benefits and resources that they are eligible to obtain. When possible, Street to Safety also connects the formerly homeless individuals with their families, facilitating therapy sessions to rebuild their broken relationships. Even after participants have left the Street to Safety program, the staff continue to maintain contact and offer support. Family and Couples Therapy Center – The Therapy Center is designed to provide solutions for couples seeking counseling and treatment in the field of marriage and family life. Beyond assisting the patient seeking therapy, the Center also benefits the individual’s spouse and children and improves family members’ relationships with one another. All therapy sessions at the Center are facilitated by experienced and certified professionals who provide individual, marital, and family therapy as well as parent training. Coffee Club: Social Program for Holocaust Survivors – The Coffee Club is a unique social program serving 70 Holocaust survivors. Every Monday, between 4:00pm to 7:00pm, the elderly individuals meet for coffee and refreshments while participating in a variety of activities, such as lectures, workshops, and performances. The goal of the Coffee Club is to expand the social circles of Holocaust survivors on the basis of shared culture and memories. The meetings and refreshments provide the elderly individuals with a reason to leave their homes and the opportunity to enjoy entertainment, make connections, and create warm memories with new friends. Two additional social clubs meet in the morning and afternoon are active in planning social and cultural activities as well as individual and group support for Holocaust survivors, and their spouses. Protecting the Elderly: Program for the Prevention and Treatment of Abuse – The Jaffa Institute launched the Protecting the Elderly program in order to effectively address the persistent abuse and neglect of elderly individuals in Bat Yam. The program operates at both the individual and community level to protect elderly men and women while raising broader awareness of this problem. At the community level, Protecting the Elderly seeks to strengthen cooperation among professionals as well as educate the general public on recognizing the signs of abuse and neglect. In tandem, these two initiatives significantly increase the identification and reporting of abuse and neglect while simultaneously preventing future instances from occurring. At the individual level, Protecting the Elderly offers direct assistance to the elderly, including educating them on their rights, providing immediate interventions for individuals who are neglected or abused, and offering legal counsel to victims.